Left to right: Nic Dobson, Ray Dobson, Luke Duffey, Jackson Duffey, Tayn Atkins and Joel Atkins. Photos: George Tsotsos. Gungahlin Eagles pride themselves on being a family club, and for good reason. In last Saturday’s (6 April) thrashing of the Easts, three sets of brothers were named in the starting XV that took to the field at Nicholls Enclosed. It was a special day for the Dobson, Duffey and Atkins families as Nic Dobson, Ray Dobson, Luke Duffey, Jackson Duffey, Tayn Atkins and Joel Atkins all started for the Eagles in their 74-5 win. Three sets of brothers playing in the same team was a first for the club and potentially a first for the competition. The fact that the feat took place on the club’s annual family day made it even more special. 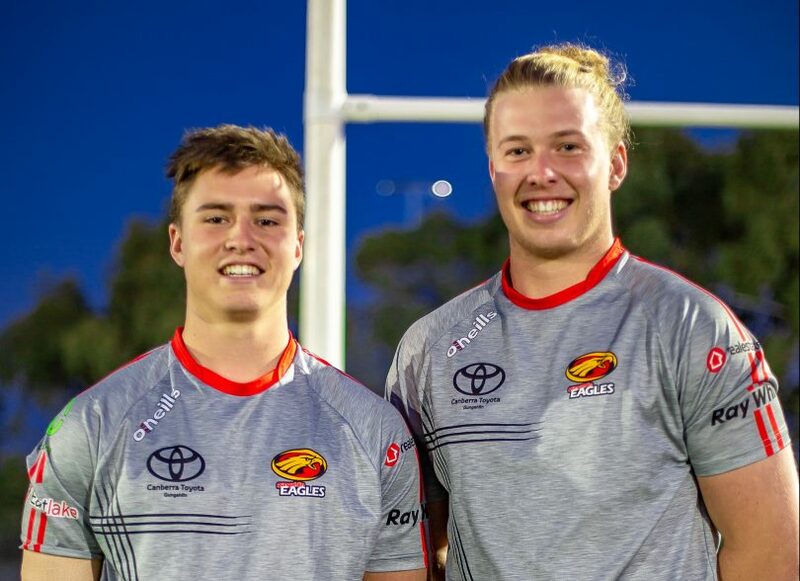 Following in his older brother Tayn, as well as former head coach and uncle Dan Atkins’ footsteps, 18-year-old Joel became an Eagles first-grade footballer in round one of the 2019 John I Dent Cup. Tayn was forced to start the season in second-grade as he continued his comeback from numerous injuries but the brothers’ good form saw them both take the field as first-grade players in the following round. It was the first time the brothers had played rugby in the same team, while their father Troy Atkins watched from the touchline in his role as assistant coach to Marco Caputo. 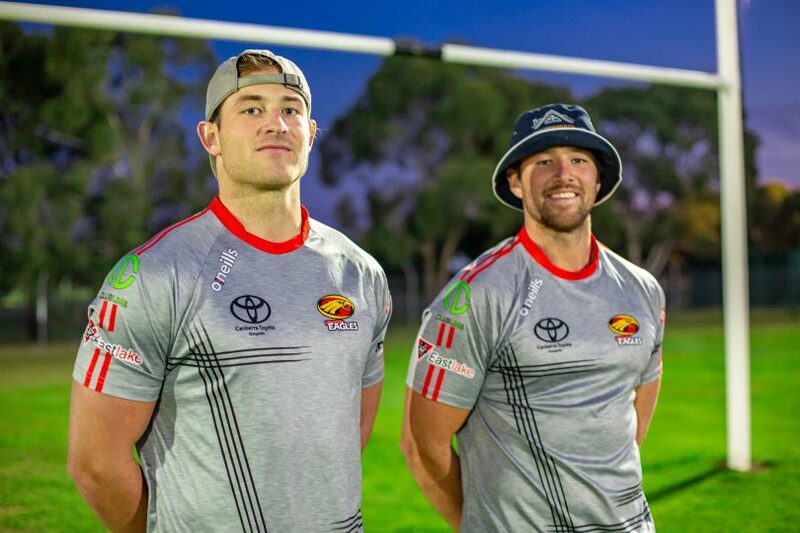 The Duffey brothers have taken different paths on their local rugby union journeys. 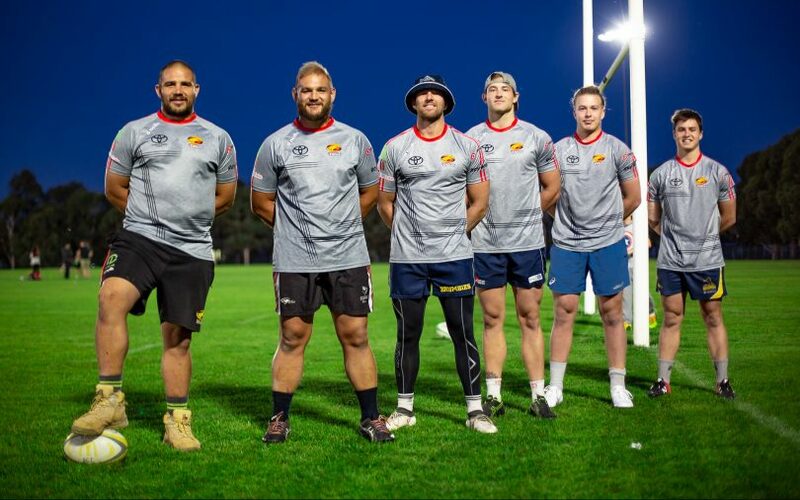 25-year-old Luke is playing his eighth season with the high-flying Eagles while 21-year-old Jackson returns to the sport after taking a year off to play rival code rugby league. Meanwhile, Nic and Ray Dobson have been stalwarts of the club, with Ray a prominent leader of the club who captained the side last year when first-grade captain Matt Hawke was ruled out. 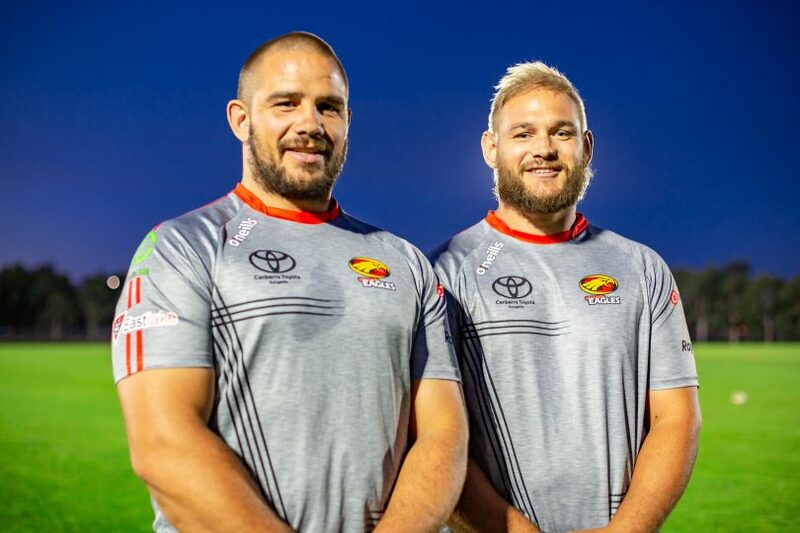 Affectionately dubbed the “Scrummage Brothers”, their physical presence and heart have been a massive asset for the club according to general manager Trent Pollard. Pollard said the Dobson brothers embodied what it meant to be a Gungahlin Eagles club man by their actions on and off the field. “They help out in a lot of ways than on the field,” he said. “They also attend postmatch functions and their families are really involved in the club. “Each year we have a day celebrating our Polynesian contingent in the club. The Dobson family will organise the meat, cook up all the food and have really built up the family culture for the Maori and Polynesian groups. 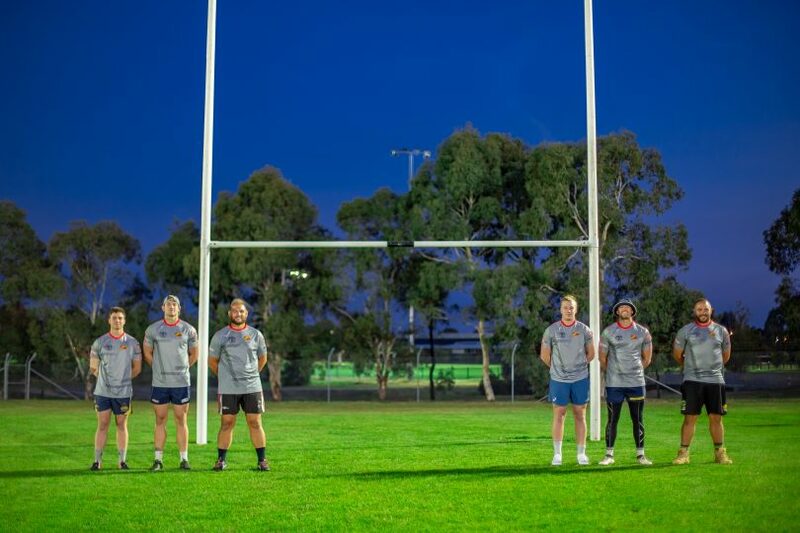 They say teammates are like family – but at the Gungahlin Eagles, it is proving difficult to discern where family ends and teamwork begins. Perhaps that is what makes the club so authentic. Nic Dobson (31) and Ray Dobson (30). Joel Atkins (18) and Tayn Atkins (21). Jackson Duffey (21) and Luke Duffey (25).